Reddit forums are always the go-to place if you are looking for a good conspiracy theory. Stare at the myriad of threads long enough and you will start to believe that, yes, the US government is putting chemicals in the water to turn frogs gay, and maybe Princess Diana would vote for Brexit. It’s the rumours that can spread like wildfire and WSTR vocalist Sammy Clifford is no stranger to them. During our phone conversation you can almost hear his eyes roll around his head as he sighs about the numerous theories about his own band; “it’s the whole Neck Deep thing”. This “thing” has sparked talk that the two upstarts of UK pop punk may actually be the same band, and they only got signed as a favour, and that Neck Deep actually write all WSTR songs and, well, pretty much anything you can think of. Thrust into the pop punk scene’s consciousness very soon after forming in 2015, WSTR have always had a judging gaze pointed firmly in their direction. Each move was done out in the open. The line-up changes, the single releases, the support slots, the club shows and with every detail there is the comments, the criticisms and, sometimes, derision. “We had a lot of people hating on it straight away,” Clifford explains. “We’ve always been in bands that iron out their creases behind closed doors but with WSTR we got signed after one show – we’d only really just met. Every move we made, people would see and there would be some thinking “oh, another member, WSTR must be arseholes”. 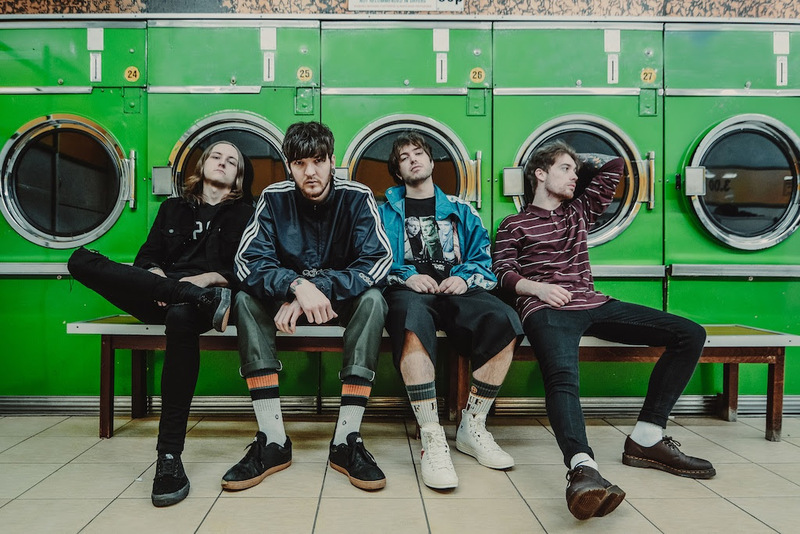 The creases have been ironed in the three years since their formation and WSTR have quickly become one of the hottest properties in UK pop punk, changing perceptions along the way. They have already shared stages across the globe with contemporaries such as Creeper, ROAM and, obviously, Neck Deep. They have played the stages of Leeds & Reading and Download, yet Clifford harbours desires to break free from the norm. “We learned a lot from those tours. We were totally incompetent at first, as we’d never really done it before. We learnt how to be professional,” the vocalist explains. 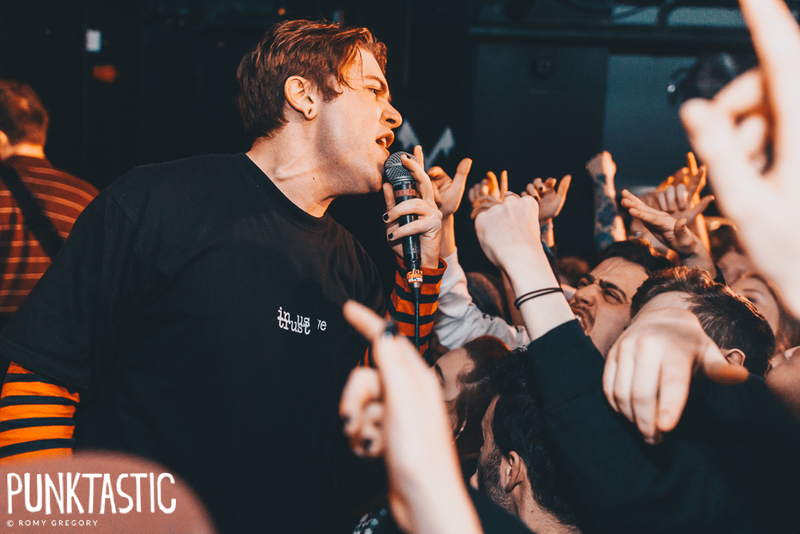 While some bands would capitalise on the exposure, WSTR have been keen to take the focus off and leave fans and critics wondering what was coming next. It means they can pick their shows carefully and tour the UK sparingly. That level of restraint has allowed WSTR to build up a loyal fanbase that eagerly anticipate every release. Their second studio album ‘Identity Crisis’, is a much more considered record and slowly fed to their fanbase. An understandable departure from their debut ‘Red, Green and Inbetween’, it feels more immediate, the overproduction stripped away and Clifford delivering candid lyrics. “We concentrated on creating a “less is more” atmosphere,” he tells me. “It’s actually a lot more raw than ‘Red, Green and Inbetween’ and is more ‘live sounding’. We focused on the science of songwriting and tried to put in notes that would leave you hanging. This is an album that is very much in keeping with our character,” Clifford breaks off before, through stifled laughter, joking; “it’s sassy, isn’t it”. And while ‘Identity Crisis’ has the sense of a band letting off steam and simply enjoying themselves, there is a deeper meaning as Clifford tackles some pretty difficult subjects. ‘The Latest’ is an open account of coping with mental health, while ‘Crisis’ talks of the anxiety of figuring out who you are as a person – and the album itself is a commentary of how we live in an increasingly digital life. 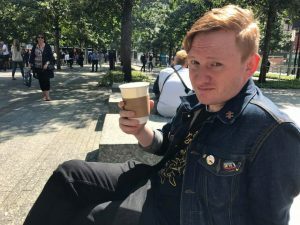 As ‘Identity Crisis’ dropped the slew of social media comments began filtering through and while there was the usual drudgery of being labelled a “sell-out”, at the same time there were huge swathes of support. While the internet will harbour naysayers, WSTR continue to build and be driven by a devoted fanbase – and there is not a minute that Clifford takes this for granted. From the sketchy shows in far flung corners of the US to packed out basement shows back home, this level of commitment never fails to amaze them. ‘Identity Crisis’ is available now from Hopeless Records.